Julian Webb used to joke with the owner of his local Indian restaurant that he could eat the hottest curry the kitchen could come up with. But that love of spicy hot food was to tragically lead to his death when his wife used the strong flavours to hide a bitter tasting poison. Friends of the body builder recalled at his wife's murder trial that he loved a curry - the hotter the better. Don Hutson, a tackle shop owner, said he had been to a Thai restaurant with Mr Webb and they both liked curries as hot as they could be. "For the normal person they would be inedible," he said. Paul Horrocks, a childhood friend and fellow body builder, said Mr Webb liked eating "extremely hot" curry. Mr Horrocks said his friend liked his food to be "the hottest ones you could get in Indian restaurants". "He got to know the owners and it was a running joke with him saying 'make it as hot as you can'. "They would make it until they thought it was inedible and he would eat it." Dena Thompson, Mr Webb's 43-year-old wife gave differing versions of his death to friends. To one American friend, she said her husband become ill after eating a very hot curry on his birthday. The prosecution concluded Thompson had laced her husband's favourite food with Dothiepin. 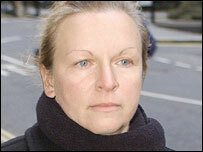 Michael Birnbaum QC,said: "She may have disguised the bitter taste with spicy food such as curry." Mr Birnbaum added: "This was death by trickery. She manipulated him into taking the drugs which killed him." It was Mr Webb's mother Rosemary who realised her 31-year-old son's death was not suicide as her daughter-in-law claimed. A detective said: "From day one, she has believed her son was murdered by Dena." Mrs Webb had been against the 1991 marriage from the start. Then she battled with her daughter-in-law to stop her having Mr Webb's body cremated and then was angered when Thompson quickly tried to claim his death benefit. She called in her lawyers and it was then it was discovered Thompson was a bigamist. 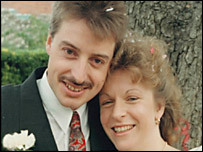 She had married Mr Webb while still married to first husband Lee Wyatt. Mrs Webb was in court every day of Thompson's trial and wept uncontrollably as the Black Widow, whom she had been instrumental in uncovering, was sentenced to life for her son's murder.